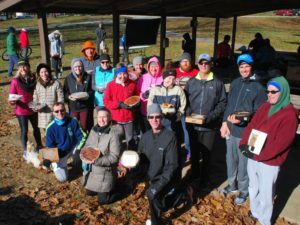 Sixty people turned out for our annual Delco RRC Volkswanderung at Ridley Creek State Park on Thanksgiving morning, November 22. Sunny skies prevailed but freezing temperatures kept the turnout slightly smaller than previous years. All registration fees, totaling $1060, will be given to a local food bank. Turquoise blue and khaki tan caps were given to all participants. 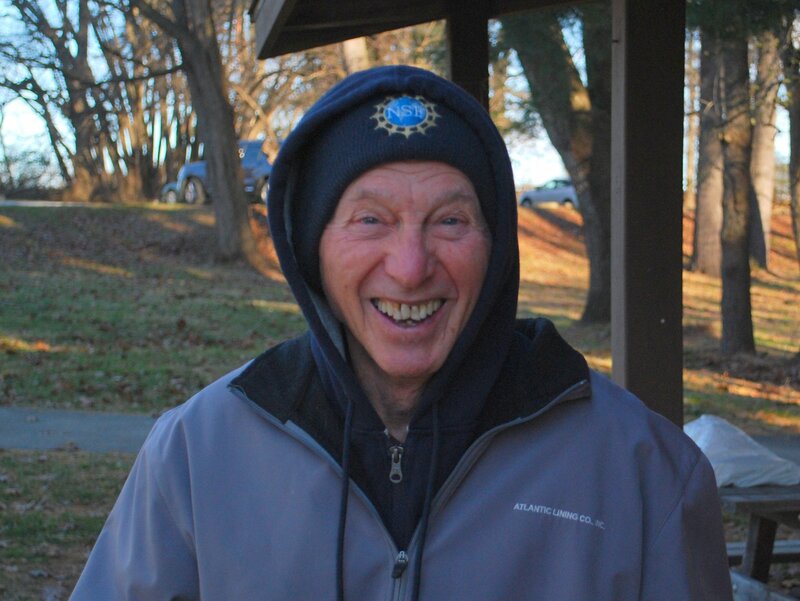 Event founder Bob Koerner was in attendance. Many thanks for event directors Mary Beth Mundy, Shirley Weber, and their committee. 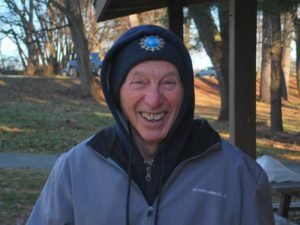 A 4.3 mile prediction run was won by John Ashton, who hit his predicted time right on the button. 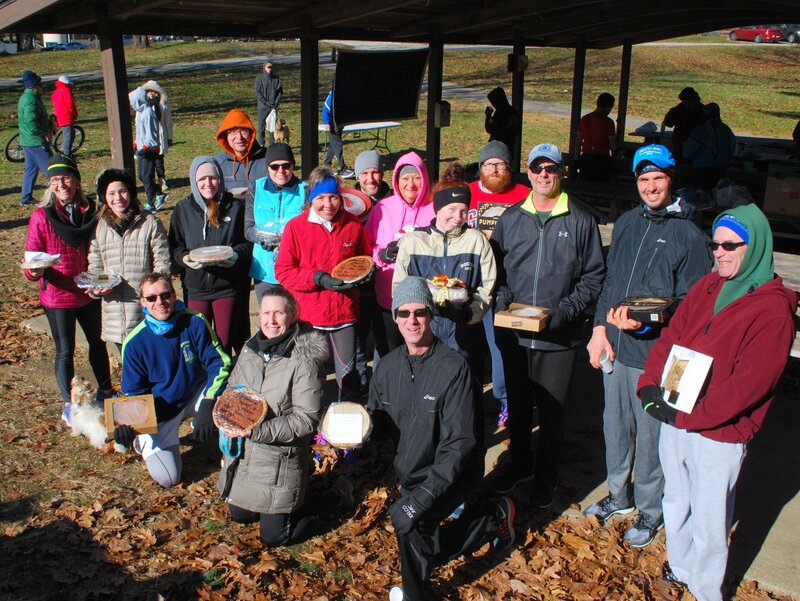 The top 16 finishers were awarded pies donated by many of the participants. See a gallery of pictures of the event here. Place Name Predict Actual Diff.